Alliance MMA announced today it has acquired the assets of National Fighting Championship (NFC), which produces professional regional MMA events throughout Georgia and South Carolina. In 2002, at the age of 26, David Oblas formed Undisputed Productions, LLC and became the youngest promoter in the history of fight promotion in Georgia – he is currently the longest running MMA promoter in the state. In 2007, he rebranded Undisputed Productions to National Fighting Championship (NFC). In 2017, Mr. Oblas acquired US Freedom Fighter Championship (USFFC), based in South Carolina, and after rebranding it with the NFC name, will continue to promote MMA events in various South Carolina markets. Undisputed Productions and NFC have promoted a combined total of more than 100 events since 2002, and NFC plans to continue its expansion throughout Georgia and South Carolina. To date, NFC has promoted fights at a number of venues in Atlanta, and currently produces regional MMA events at Center Stage in Atlanta, Infinite Energy Arena in Duluth, GA, Electric Cowboy in Kennesaw, GA, and the TD Convention Center in Greenville, SC. On July 22 of this year, NFC will host an all-day event at Infinite Energy Arena in Duluth, GA to celebrate its 15-year anniversary, and later this year will promote NFC 100. 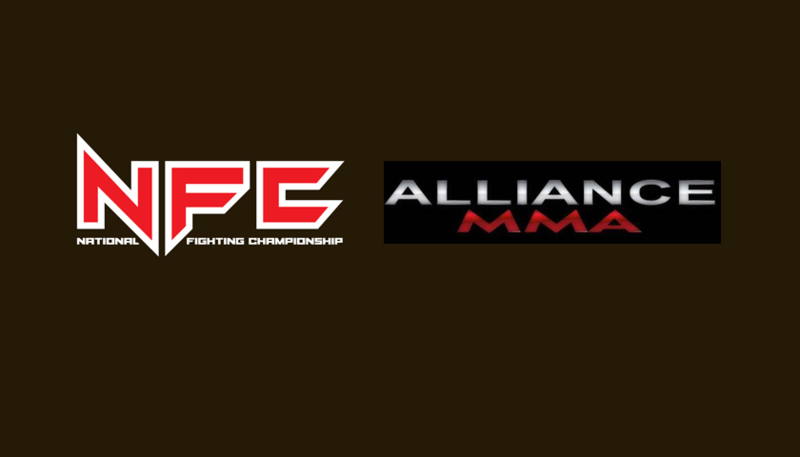 NFC will be the 9th regional MMA promotion operating under the Alliance MMA umbrella. The Company also promotes regional MMA events through New Jersey-based Cage Fury Fighting Championship (CFFC), Washington-based Combat Games MMA (COGA), Illinois-based Hoosier Fight Club (HFC), Tennessee-based V3 Fights, Maryland-based Shogun Fights, Ohio-based Iron Tiger Fight Series (IT Fight Series), Florida-based Fight Time Promotions, as well as a San Diego-based promotion under the guidance of MMA luminary Eric Del Fierro.